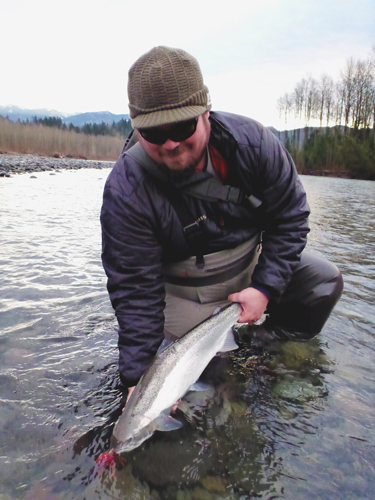 Scott Willison is the owner of the Confluence Fly Shop. He’s been fly fishing for over 30 years throughout his home state of Washington, and has also fished in the Bahamas, France, Colorado, Montana, Wyoming, Oregon, Wisconsin, British Columbia, Costa Rica and Mexico. Scott has an English Writing and Teaching degree from WWU, has taught in public schools and worked as an educator for the Nooksack Salmon Enhancement Association. Scott also guided fly fishing on area rivers and beaches prior to his days in the shop. He serves as a Native Fish Society River Steward for the NF Stilliguamish River and is an active member of the Fourth Corner Fly Club. Sometimes he has a beard, sometimes he doesn’t. Brandon Sly works tirelessly at the Confluence Fly Shop. 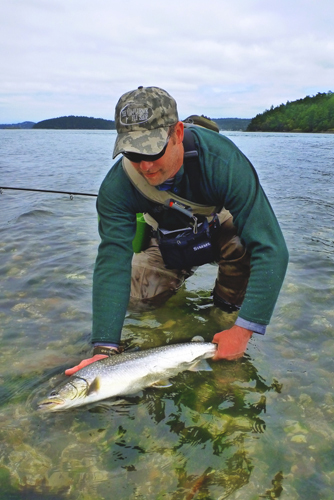 Brandon grew up in Maple Valley and took up fly fishing at age 12, extensively exploring the lakes and streams in the greater King County area. He’s traveled throughout the west coast with fly rod in hand, and also to Idaho, Montana, British Columbia and the Bahamas. Brandon holds a degree in Cultural Anthropology from WWU and has worked as a commercial fisherman in Alaska, Restoration and Fisheries Tech for the Skagit River Systems Cooperative and Fisheries Tech for the WDFW in the Methow Valley. He is well versed in our local lakes, rivers, creeks and beaches and enjoys the myriad species swimming in our backyard. Brandon also knows an insane amount about brewing and drinking beer.